There have been innumerable e-mails and queries over the past few years: how do I take up racing as a career? Is Fuel Injection To Blame? At the very outset, congratulations to you all for the fabulous job you are doing! I have a couple of queries regarding my trusted TVS Apache RTR Fi. The bike has done 15,400 km to date and I have always had it serviced from a reputed mechanic. Now-a-days, however, the bike becomes jerky as if it has run out of petrol, when it is actually not the case. I took it to the best local mechanic in Kolkata to have the problem rectified. The bike seemed to be all right for some time, but the problem reared its head once again after a week or so. When I took it back to the mechanic, he insisted that it was a fuel injection problem and that there was nothing he could do. The power from the throttle is all right, but it seems as if the fuel does not reach the engine properly. Is it likely that there would be some kind of a block in the fuel injection system? I am not sure if other bikes with the fuel injection system also face a similar problem. My second query concerns tyre replacement. Is it possible to fit the tyres from the Yamaha R15 or Yamah FZ16 on my bike? The gear lever of my bike requires too much effort to shift, as if it is stuck in a position. How may I rectify it? From the description given by you, it does appear that there is a problem in the fuel supply line of your motorcycle. Please take out the fuel filter before the fuel pump and clean it thoroughly. Only a visual inspection by a competent mechanic will yield the correct diagnosis. Whereas the Yamaha R15 and FZ16 come with tubeless tyres, the Apache RTR Fi has tyres with tubes. You may replace the Apache’s front tyre with the FZ16′ front tyre, but the rear tyre of the FZ16 will not fit the narrow rim of your bike. On the other hand, the R15’s rear tyre will be too narrow for the Apache. I recently bought a Honda Dio and am very impressed by its combination of good looks and practicality. 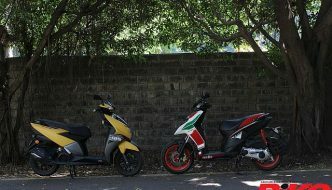 The scooter has clocked 4,200 km so far. However, I would like to boost its performance a bit more. Can I fit a K&N air-filter and an NGK iridium spark-plug? Will it be necessary to re-tune the carburettor if I opt for these changes? Is semi-synthetic or fully synthetic engine oil better for my Dio’s performance? Which brand is better: Motul or Mobil1? What type of fuel can I use to get the maximum performance? Can I fit fatter 100/90 tyres on both rims? Where can I fit an HID on my scooter? A K&N air-filter or an NGK iridium spark-plug will not give you the big boost of performance that you are looking for. 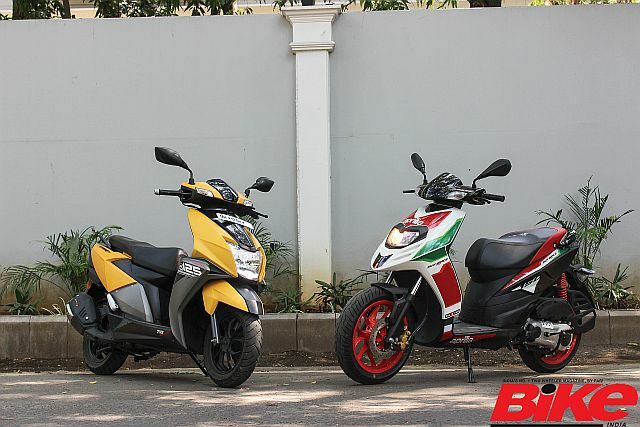 A free-flow exhaust system will also serve to augment the performance of your scooter to some extent. You may use wider tyres, but these will affect your scooter’s performance. A high-intensity discharge (HID) headlight is not feasible for the Dio, for its electrical system does not rely on a battery, which is a must to power an HID. As for oil, the brand does not matter so much as the grade of oil. Please stick to the grade recommended by the manufacturer. I own a Royal Enfield Bullet 500, which I use only for occasional long rides. It is a 2002 model, which I have kept in mint condition and have had it serviced regularly. My problem is that when I accelerate hard in the second, third or fourth gears, the clutch slips and the engine tends to rev more than the speed achieved. It does not happen in the first gear, but when I accelerate suddenly, the kick-starter lever falls down and comes up when I ease up on the accelerator. I have had the clutch-plates, clutch-wire and pressure plate replaced and even had bigger springs fitted for the clutch on the advice of my mechanic, but it did not make much difference. Even the chaps at the authorised agency have not been able to help me in this regard. When you change the clutch, you have to see to it that there is enough free play in the clutch cable and also in the clutch rod setting. If that is too tight, the chances are that the clutch gets partially engaged, which will cause it to slip and burn out eventually. The load on the clutch is the maximum when you are running in the third and fourth gears. In the first, on the other hand, there is little load on the clutch. That is why you do not suffer slippage in that gear. The fact that the kick-starter lever goes down as you accelerate may be due to the fact that you are using a heavy grade gear oil. Please stick to the grade recommended by the manufacturer. Similarly, try changing the kick-starter return spring. 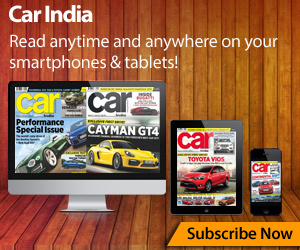 There is no doubt that the Indian racing and motor sport scenario is improving. It may be happening at a rather slow pace, but it is happening none the less. There are a number of motorcycling enthusiasts who are trying to quicken the pace of the sport’s development and act as catalysts in the process. 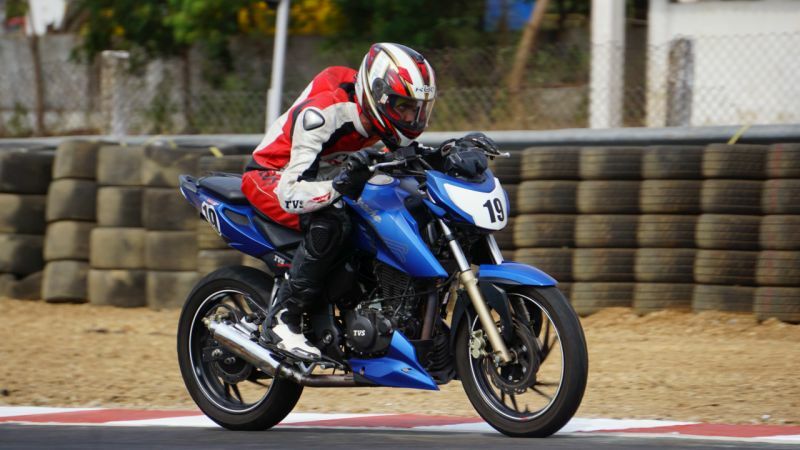 One such is the Apex Racing Academy (ARA), held at the Kari Motor Speedway, near Coimbatore in Tamil Nadu, where I got an opportunity to ride and learn certain things. Started over a year ago by Bengaluru-based enthusiasts, the ARA aims at two things primarily: transforming a regular street rider into a much safer and skilled rider and providing a strong platform along with experienced guidance for the one who aims at making a name in the racing world. The first objective mentioned here might sound rather funny, but ponder over it awhile and you will realise that as a general street rider, any person has certain ways of riding and responding to tricky situations. Their reflex actions are not necessarily the correct ones. The basic aim of the ARA for the street rider is to improve this and show the safest way to get around in dangerous circumstances. The second ARA objective is more important and a focused one. A group of three instructors – Sreekumar Gopinadhan (Poncho), Sameer Venugopalan (Killer) and Henna – take care of the coaching part at the ARA. All three have been National Championship racers with laurels aplenty. The coaching at the academy has been split into three levels. The first one starts with familiarisation with track riding and includes introduction to proper safety gear, track etiquette, flag signals and so on. That is followed by a track walk, which gives the students a very clear idea of their learning environment and introduces them to camber and riding lines at the track. 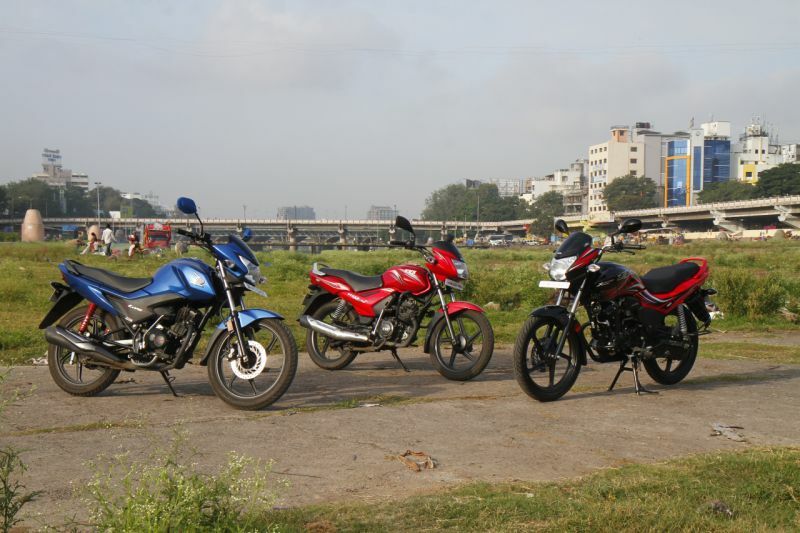 Real riding begins after this wherein the level one students are directed towards the concept of smooth riding with the help of throttle control drills. While on track, the students are timed in each session and filmed at the beginning and end of the course to record their progress. The lap timings at the beginning of the course and at the end of the level one generally show an improvement of three to five seconds, achieved just by riding smoothly. As the course progresses to level two, a number of serious skills of going faster are introduced to the students. It all starts with learning how to turn into corners with counter-steering, making the turns quicker, finding the right lines and understanding the concept of outside-inside-outside way of approaching corners and making use of the complete width of the track to open up the corners. This is followed by improving vision while riding and finding reference points for planning your moves on the track. Level two concludes with two very important factors: body position and braking skills. Level three introduces the rider to the serious elements of racing. It all starts with race launch skills, overtaking skills and tricks and race strategies, etc. After doing a full weekend at the ARA, I realised that this one is not just a riding school, but also a special one in a number of ways. Firstly, conducting the course are enthusiasts who really want to take the sport to a higher level. They are determined to address each and every rider with personal attention, whatever his/her level. Secondly, all the coaches are extremely experienced with competitive riding and hence know the real deal out there. Thirdly, they are continuously improvising their teachings and course to better the approach of learning and to go into the depths of it. Lastly, they are very open to the idea of an honest feedback from the students so as to improve the overall experience of learning. Another very interesting aspect of the ARA is that they also run a racing team along with providing end-to-end service. What this means is that the ARA has a model wherein once the student graduates from level three, s/he can buy an annual package from the ARA that will provide him/her with a race-prepped motorcycle, tyres, pit and grid services and, most importantly, a rider coach to guide throughout the season. The man behind the ARA, Anil Kumar S, has been working hard for a year and has been successful in providing a platform for 118 students so far. What is worth mentioning here is that even the coaches are supportive of Anil S in every possible manner. While Poncho is a businessman over the week, the other two have their jobs to do. All three coaches make it a point to pack up from their work on Friday evening, drive over the night to Coimbatore, start the coaching on Saturday morning, continue all the way till Sunday evening, pack up, drive back to Bengaluru that night and resume their work-a-day life on Monday morning without complaining of exhaustion. So for all those who have been wondering where to start their racing career, look no further. 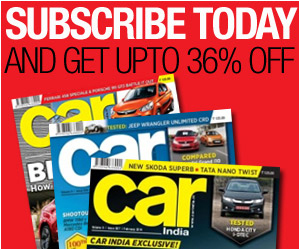 Get in touch with the ARA, register yourself and kick-start your racing career! The Yamaha Riding Clinic 2011 was conducted between April 11 and 14 on the Chennai race-track, where I donned the racing skin (riding suit) and rode the last two days of the school to experience the programme at first hand. The first two days were meant for novice riders and the last two for experts. Yamaha had invited former 250-cc GP rider, Osamu Miyazaki, from Japan to train the participants. The fee for the school was Rs 3,000, which covered the rent of the bike with full service support, fuel and food. Day one began with some limbering up exercises. Contrary to popular belief, any form of motor sport (motorcycle more so) causes extreme physical exhaustion; by the end of the day’s sessions, my legs would wobble inside my R-Jays due to lack of strength. We were then asked to scrutinise the bike assigned to us. The set-up of the bike is extremely important to extract the desired performance as also to avoid mishaps. Finally, we were told about the riding rules and the meaning of the various flags used to signal a rider while on the racetrack. The duration of each track session was one hour in which we were allowed to ride freely. By the end of each day, we had completed three hours of riding. During the feedback sessions in the classroom, Miyazaki pointed out the flaws in every rider’s style and suggested improvements after observing the video footage he had recorded from his helmet-mounted camcorder. At the end of day one, every rider’s lap time was recorded for self judgement. On day two, we were taught how to launch the bike at the start. A swift synchronisation of the throttle and the clutch is necessary to achieve a quick start without lifting the front wheel. Next, Miyazaki selected a couple of fast corners on the track to explain the correct line to follow. For instance, the classic line for a right-hander with no immediate turn after it would be to pull out to the extreme left before the corner entry, then ride on the inside edge of the road in the corner and drift away to the extreme left again at the corner exit to carry maximum speed. At the end of the day’s sessions, the riders’ lap times were recorded again to evaluate the improvement on day two. The programme culminated with a race organised for the participants to give us a taste of competitive riding. The best performers from the riding school and the R15 races will be promoted by Yamaha to race internationally. The YZF R15 championship 2011 begins this month. Log on to the FMSCI Website for more information. Nowadays a visit to the service station with your bike is like visiting a doctor – they do not believe you unless you walk in with the same symptom more than twice. 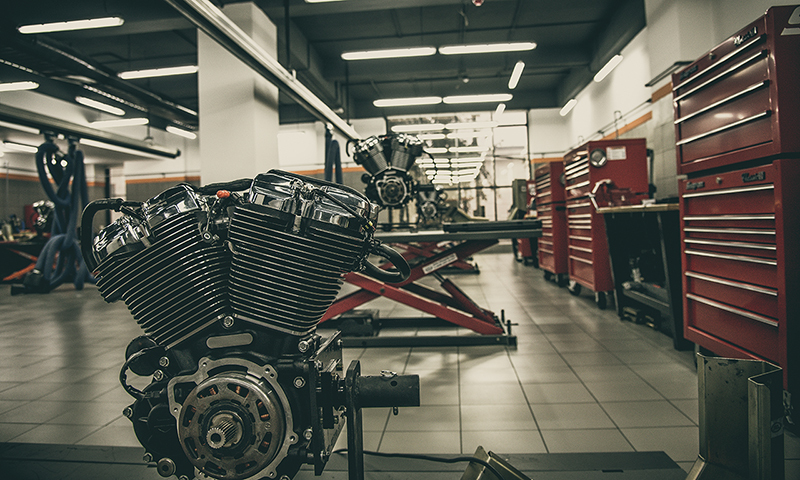 Many riders out there take their bikes apart in order to service them, many do it out of passion, while some do it to avoid a downward spiral into debt. Maintaining a bike may on a few occasions get heavy on the pocket, but nevertheless is an essential part of owning a motorcycle. BI’s Raymond Raj looks into the basics of maintaining a Honda Unicorn. The phrase “God is in the details” suits the oil-changing process perfectly. Changing your bike’s engine oil sounds very simple but even experts goof up sometimes. If you want to keep your engine running well, change the oil often; it is simple – provided you do it right. The oil drain bolt will be at the bottom or at the side of the engine. Make sure you place a container large enough to hold all the oil below the drain bolt. Draining the oil is best done when the engine is hot, but if it is way too hot you can get a nasty burn, so wait a while and let it cool down a bit. Using a proper size wrench, open the bolt and let the oil flow into the container. Once you have the bolt out, inspect it visually to get rid of any metal particles that are stuck to it. Tilt the bike a little so that every last drop of used oil flows out. The oil filter is to be changed at every alternate oil change, as it filters the oil of any unwanted impurities. Once the engine is drained refit the drain bolt. Ideally, you should use a torque wrench to do this, but even if you use a correct size wrench, make sure it does not slip. Using a funnel pour in the specified quantity of new oil through the dipstick opening at the top. The oil level can be checked by using a dipstick; some bikes also have a glass window. The level of the oil should not be more than the specified quantity, closer to the maximum mark on the glass window and the dipstick. Since we were using a Unicorn it requires one litre of oil. When checking the oil level with a dipstick never screw it in, just dip it and remove to check the level. Recap the dip stick and you are done. 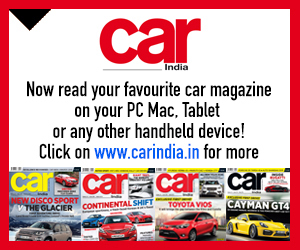 The thought of overhauling or draining the carburettor can instigate fear in many. To drain and clean the carb, empty the float before you turn it over to avoid the fuel from attacking the diaphragm. Spray the carb with brake cleaner (make sure it is rubber friendly) or with normal air from the compressor. Undo the tops’ screw without it slipping and watch out for little O-rings under the tops that help in sucking in air. Check the diaphragm for holes and also make sure the needles are evenly tapered. Do the same for the float chamber screws. Once this is done, remove the pilot and main jets with a well-fitting screwdriver. These jets are very small and even a little speck of dirt can reduce the jet size. Blow clean them, as well as the emulsion tubes, with aerosol or compressed air. If the jets are very grimy soak them in brake cleaner. The air mixture screws are tiny and tricky to handle. There is a default factory setting for these which you should return them to while reassembling. Screw it on until it is seated and remember the number of turns as a point of reference for re-fitting. Get the O-rings out too, which are at the end of these screws. Now that all the jets, screws, and O-rings are out you can go at it with an air-dust remover to get rid of any last traces of grime. Do not use pins or wire brushes on the jets. day if it is left alone not doing anything. A battery should be charged till it is gassing freely. Add distilled water to the battery if the level is low. You will need to unscrew the caps on top and fill the water evenly in all the wells. Keep in mind not to overfill it with water as while charging it will overflow and mix with the acid causing harm to your bike. Plug the charger and connect the terminals with correct polarity being achieved, positive to positive and negative to negative. Interchanging the terminals will result in the draining off of the battery of whatever charge it already possesses. Plug the charger to the battery and charge the battery at one-third its rated capacity in A-h for 5-6 hours for a full charge. There is a trick to make an almost junk battery that does not hold any charge, work. Add one-fourth of a teaspoon of magnesium sulphate (Epsom salt) to each cell. This works 60-70 per cent of times; it will get you through for the 2-3 months of winter. It won’t hurt the bike as the battery is already junk. A chain and sprocket comprise the final drive delivering power to the wheel. A shagged chain and a worn-out sprocket will rob you of precious horsepower and fuel. First you need to know to what extent the chain is worn out. If by pulling the chain on its way out you are able to expose more than half a tooth of the sprocket it is time to change them. Remove the front sprocket cover and remove the clutch actuating mechanism to gain access to the sprocket nut. Clean and degrease the dirt. Before you loosen the rear sprocket nuts put the bike in gear and ask a friend to hold the brakes. Do not loosen them too much as they will hinder the wheel turning. Now wedge in the lock washer and loosen the front sprocket nut. To remove the chain, visually locate the chain lock and open it. Once the chain is off, remove the rear wheel and the rear sprocket, which is usually bolted to the rear hub. Also keep in mind to never over tighten the chain as it will adversely affect the gear box bearing, wheel bearing and also the fuel efficiency. Ideally, there should be 10-15mm slack in the chain when the bike is off the stand and loaded or with the rider seated on it. An internal combustion engine without engine oil is like a body without blood. When the oil level is low, the condition is comparable with that of a dehydrated athlete. The reasons are not far to seek. Being a contraption of mechanical linkages, the metal parts of an engine exert mechanical force on each other. This entails an evil – a destructive phenomenon called friction. Friction grinds the metallic parts and causes wear. Also, as the process is exothermic, it increases the engine’s temperature above optimum levels, which, in turn, causes the metal parts to expand and fuse into each other to seize the engine. In short, in the absence of oil your vehicle can be dead by the time you ride back home from the showroom or maybe earlier. The primary function of engine oil is lubrication to avoid friction. Barring the area in an engine’s cylinder between the piston head and the combustion chamber, every other part is soaked in oil. Channels and perforations are made in the components for the passage of oil. Oil forms a separating film between the connected parts to avoid friction. However, it still doesn’t make the engine completely friction-free. Frictional grinding creates microscopic rubble, which again mixes with the oil. This saves it from scraping against the metal parts, but, in the process, the oil becomes contaminated. Oil drains down by gravity and is collected in a collector called a sump. An oil filter cleans the oil by removing these microscopic particles and other waste. An oil pump then recirculates the oil throughout the engine and so on. Since oil keeps flowing continuously, it also absorbs and takes away excess engine heat by convection. Anti-oxidation additives in the oil prevent oxidation of the metallic components while acid neutralisers guard it against acids formed during combustion. Oil also seals the gap between the piston and the cylinder liner. 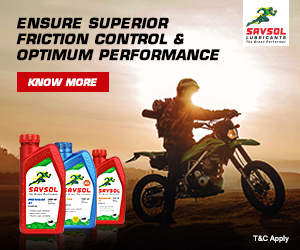 Reduced friction ensures optimum efficiency in the engine’s working, which helps in saving fuel. Now that we know we can’t ignore it, let’s see how engine oil is made. Engine oils are basically hydrocarbons reinforced with additives to give them specific properties. These oils have higher flash points (temperatures at which they give out inflammable fumes) to be able to handle engine heat. Oil types: The basic difference in engine oils lies in their origin, which can be from nature or artificial. The second distinction is their ‘kinematic viscosity’ (time taken to flow down a surface when subjected to gravitational force) and ‘absolute viscosity’ (resistance to flow when under pressure). The higher the kinematic viscosity, the better the oil settles on engine parts when the engine is not alive. Oils with high absolute viscosity resist flowing when forced by the oil pump, which is not favourable. The rate at which viscosity changes (viscosity index) also defines the type of oil. Mineral oil: Mineral oils are derived from naturally occurring crude oil. Its quality is then improved with certain additives. Price-wise these are the cheapest and also have the shortest life. Synthetic oil: Synthetic oils are man-made. Their chemical composition is formulated in a laboratory and is then produced artificially in a controlled environment. These oils are generally polyalphaolefins (PAO) while some are ester-based. Esters are polar by nature (magnetic properties), so they stick on metal surfaces, maintaining an oil film. However, the production cost of ester-based oils is high, making them rather expensive to buy. Synthetic oils have very low or no wax content, which is the culprit for oil condensation. Semi-synthetic oil: As the name suggests, semi-synthetic oils stand between mineral and purely synthetic oils. These are generally mineral oils blended with synthetic ones and serve as a compromise between the two. Considering the price, synthetics cost much more than mineral oils while semis are costlier, but close to minerals. However, synthetic oils can sustain extreme temperatures and pressure and also double the vehicle’s oil change interval. Thus the increase in the price justifies the brew. More so if the vehicle is used in extreme conditions, on harsh terrain or is not maintained properly. In each of these three types, the following additives are added in varying proportions to further enhance the quality of the oil. Viscosity index improvers (VII): These chemicals make the oil less susceptible to viscosity change as a result of variations in temperature. Corrosion inhibitors: Anti-oxidants are added to prevent oxidation. Acid neutralisers: These are added to absorb and chemically neutralise acids, such as sulphuric acid formed in the engine. Pour point depressants: Pour point depressants increase the ability of oil to flow at low temperatures. This helps during cold starts. Anti-foaming agents: These are helpful in avoiding the formation of foam in the engine. Detergents: These help in cleansing the engine from within. The Society of Automobile Engineers (SAE) is a worldwide association of engineers with regional subsidiaries. The Society sets standards in the automobile, aerospace and industrial fields. The SAE has conducted globally accepted viscosity tests on engine oils at high (100º C/212º F) and low (0º C/32ºF) temperatures to classify them according to their grading system. Every oil company mentions these grades on their engine oil cans. The low temperature grades are suffixed with a ‘W’ to denote winter viscosity. The higher the number, the thicker the oil at cold temperatures. For instance, 0W, 5W, 10W, 15W, 20W, 25W. The hot temperature grades only have the number. For example, 20, 30, 40, 50, 60. Engine oils are also classified as single or multi-grade oils. Single-grade oils: These are tested at either high or low temperature. They have only one grade. For example, 10W, 20, 50. These oils have little use in automobiles when engine and atmospheric temperatures vary. These are mostly used in industrial generators, lawn-mower engines or chain saws. Multi-grade oils: These are tested at both low and high temperatures. Both the grades are mentioned on the oil. Automobiles generally use multi-grades as the same oil can be used at different temperatures. For example, 10W30, 20W50 etc. 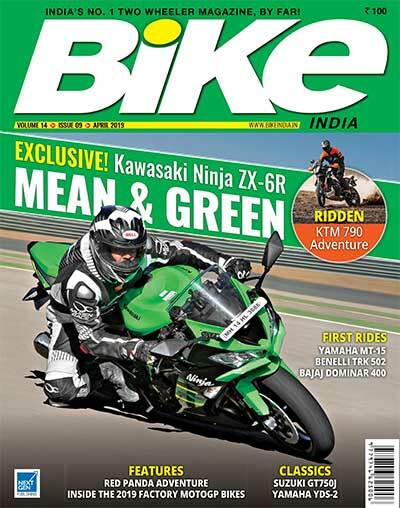 For Indian conditions, the commonly used grades for motorcycles are 20W40 and 20W50. Oils with winter grades lower than 15 are recommended only in extremely low temperature areas. Engine oil properties depend largely on the type of engine. Hence, engine oils are different for each type of engine. Since two-stroke engines are now obsolete, let us consider different types of four-stroke engines and their requirements. Nevertheless, two-stroke oils are still on sale. Oil cans with 2T written on them are meant for two-stroke engines. Four-stroke cans have 4T written on them. Apart from grading, oils are also tested for quality by various national and international standards authorities such as the API, JASO, ACEA and ILSAC et al. For two-wheelers, JASO ratings are more relevant as they test the oil for conditions specific to those engines. However, some oil companies also mention API ratings. JASO stands for the Japanese Automotive Standards Organisation. 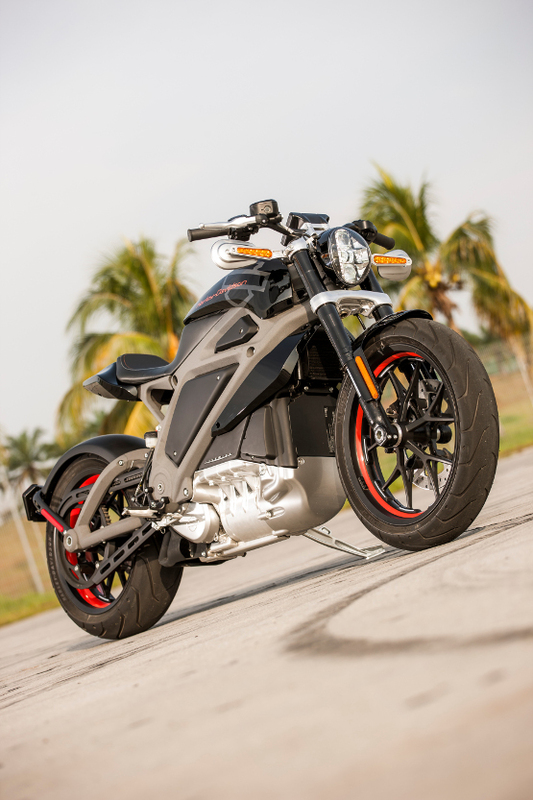 Currently MA, MA1 and MA2 are the ratings for motorcycles with high friction levels (no anti-friction additives) while the MB rating is given to the ones with low friction (containing anti-friction additives). Manufacturers who get their oils tested by JASO mention the rating on their packaging with the JASO symbol while others just claim the JASO rating based on their own tests. In order to change the engine oil in a motorcycle, drain out the old oil completely and tilt the bike for a while until the last drop jumps into the collector. Plug the drain outlet and pour the exact amount of new oil as prescribed by the manufacturer. If you are running on semi-synthetic or synthetic oil, a delay of up to 1,000 kilometres more than the prescribed oil change interval is pardonable. However, as the oil filter cleans the engine oil during every cycle, it is bound to get saturated with waste over a period of time. Therefore, it is necessary to change the filter at alternate servicing or at least have it cleaned if it is just a strainer when shifting from mineral to synthetic oil. Apart from quality, the volume of oil in the engine is also important. To check the oil level, unscrew the plastic plug found on the engine. The plug is connected to a shaft called the ‘dipstick’, which has a measuring scale on its surface. Wipe it clean, insert it back into the engine but don’t screw it. Pull it out again and read the oil level on the scale. If found low, top up the engine until the level rises to the prescribed volume, but never overfill the engine with oil. does not flow through the engine, causing wear. If you find a whitish paste inside your engine, it is oil change time for sure, but the substance is not sludge. It either means that the engine gasket has a leak and the coolant has mixed with the oil or else the engine was cranked when under water and water has mixed with the oil. The only remedy in such cases is oil change with flushing. Flushing is a process of cleaning the engine internally. Fill up the engine with a cheap mineral oil, crank it up and drain out the oil after a few minutes. Then pour in fresh oil. Now that you have learnt to change the engine oil of your bike on your own, what to do with the waste oil? Flush it down the toilet? Consign it to the dustbin? Bury it in the garden or just throw it over the fence? Never! Waste engine oil is a highly hazardous toxic pollutant. It should either be submitted to a recycling or disposal plant or used as a lubricant in household appliances such as sewing machines, bicycles or gymnasium equipment. Yes, you can store a can of engine oil for as long as you want, even when the can has already been opened. However, if your vehicle is about to remain unused for a long time, do not drain the oil to store it. Always leave the oil in the vehicle, as it helps in avoiding engine corrosion.